A new WSJ report asks what the Hell is going on? in Venezuela and provides new information behind How a Small Group Seized Control of Venezuela’s Opposition to make the extremely risky move of pushing forward 35-year old opposition leader and National Assembly head Juan Guaido to declare himself "Interim President" — precipitating the crisis that's seen the noose tighten around President Nicolas Maduro's rule as over a dozen countries led by the US have declared him "illegitimate". For starters, the report paints current events as having started with a "big gamble" that was largely unplanned and unexpected within even the political opposition itself, and which further had the hidden hand of the White House and State Department behind it from the very beginning, pushing the opposition forward at the most critical juncture. The plan was so risky — especially to Guaido personally as he had been arrested and briefly detained after his vehicle was rushed by secret police only less than two weeks prior — that the final decision of public confrontation with the Maduro regime was left entirely up to him in the hours leading up to the Jan.23 rally. 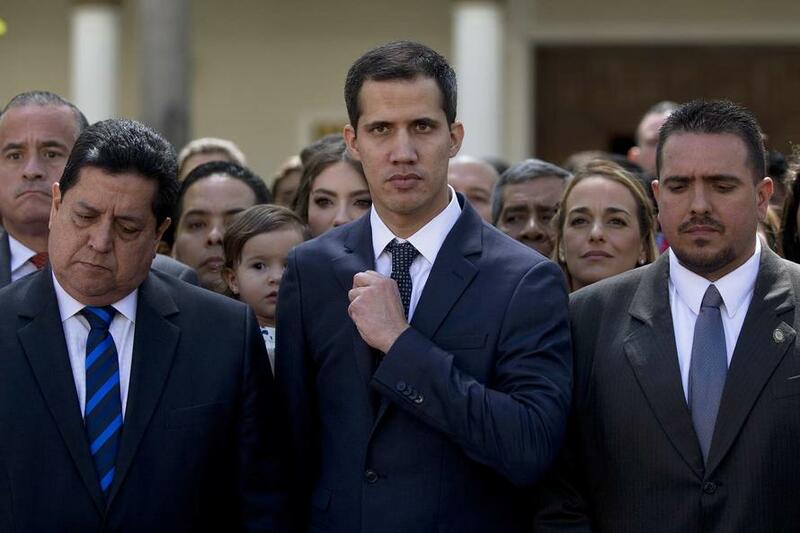 Mr. Guaidó himself only agreed to act the day before he declared himself interim president, his aides said. Some politicians—including those in the traditional Democratic Action Party, the largest opposition party—weren’t told of the plan. “We didn’t want them to mess it up,” said one opposition leader who knew of the strategy. The results of that fateful decision are still being played out in the streets, and on the international stage as countries line up for and against Maduro (China, Russia and Turkey among Maduro supporters, with the US and European countries backing Guaido as legitimate leader). 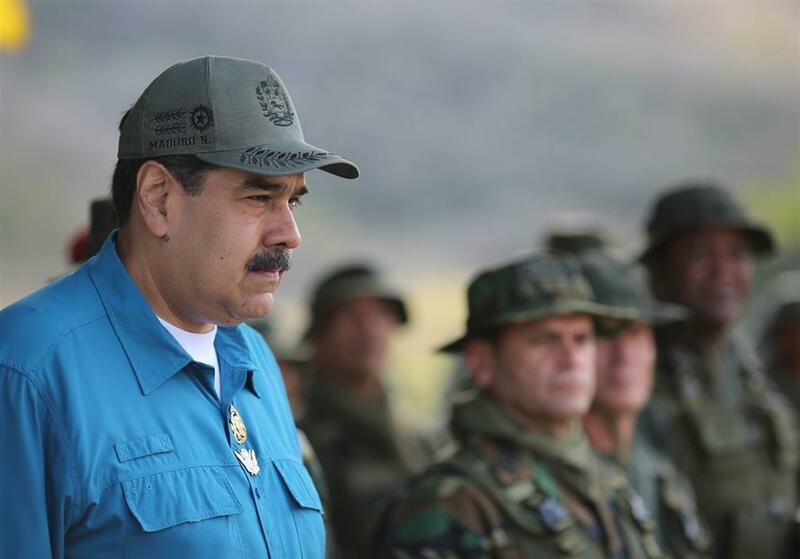 The high stakes maneuver "was largely devised by a group of four opposition leaders—two in exile, one under house arrest and one barred from leaving the country" and was predictably immediately denounced by Maduro "as part of a U.S.-backed coup to overthrow his government." But as the WSJ concludes, "The act of political skulduggery paid off. The crowd reacted ecstatically to Mr. Guaidó, and one nation after another recognized him within hours." Among the "plotters" included Guaido's political mentor Leopoldo López, now under house arrest in Caracas, and Edgar Zambrano, vice president of the National Assembly of power allied opposition party Democratic Action. Mr. Zambrano, one of the opposition leaders who appeared surprised on stage on Jan. 23, said the possibility of Mr. Guaidó assuming the presidency had been discussed in the weeks before, but that the final decision was in the hands of the young leader because of the risks it entailed. However, the WSJ report closes with crucial bombshell information regarding what it took for the opposition to cross that line, and for Guaido to step out in confidence. A breakthrough came on Jan. 4, when the Lima Group of 14 Latin American countries and Canada issued a letter calling on Mr. Maduro to hand over power to the National Assembly. The near-bellicose nature of the letter surprised opposition leaders, reinforcing the idea they should take action. When Mr. Guaidó should try to assume the interim presidency was up for debate. Some argued that it should happen before Mr. Maduro took the oath. Others proposed creating a commission to challenge Mr. Maduro’s claim to office. As late as Jan. 22, the day before it happened, Mr. Guaidó wasn’t fully convinced. He came around after Vice President Mike Pence called to assure that, if he were to invoke the Venezuelan constitution in being sworn in as the country’s rightful leader, the U.S. would back the opposition. And there it is — a stunning mainstream media admission that the political drama and crisis now unfolding in Venezuela, now quickly turning into a global geopolitical pressure spot and conflagration — was pushed forward and given assistance directly from the White House from the very beginning.